The Baylor Project is Nominated for 2 Grammy Awards! Be A Light, the record label founded by Marcus and Jean Baylor, is proud to announce that The Journey, the debut album from visionary duo The Baylor Project, has received a Grammy nomination for Best Jazz Vocal Album as well as a nomination for Traditional R&B Performance for their song “Laugh and Move On.” The 60th Annual Grammy Awards will take place on January 28th in New York City. Released on February 10, 2017, The Journey debuted at No 8 on The Billboard Jazz Chart and also received worldwide acclaim from media outlets such as All About Jazz, Hot House, Soul Tracks, Soulbounce, Modern Drummer, The Chicago Defender, Revive Music and more. Steeped in the heart and soul of jazz, Marcus and Jean Baylor’s highly anticipated collaboration showcases the grace and glory, versatility and virtuosity of a truly extraordinary musical union. Joining Marcus and Jean on their self-produced debut is an expansive assemblage of top-notch collaborators including pianists Allyn Johnson and Shedrick Mitchell, guitarists Rayfield “Ray Ray” Holloman and Marvin Sewell, bassists Dezron Douglas, Chris Smith, David “DJ” Ginyard and Corcoran Holt, percussionists Pablo Batista and Aaron Draper, tenor saxophonists Keith Loftis and Bob Mintzer, trumpeters Freddie Hendrix and Keyon Harrold, trombonist Stafford Hunter and harpist Brandee Younger. As the children of Pastors, Marcus and Jean’s musical roots were planted deep within the church, and it was there that the road was paved for the influence of gospel, blues, soul, and jazz to make it’s mark. On The Journey, listeners are taken on a comprehensive musical journey that showcases as much versatility as it does virtuosity. A world-class drummer, Marcus’ creativity and innovative storytelling ability expose his seasoned improvisation and musicianship. Jean, with her agile mezzo-soprano range, combines a fresh, whimsical, approach to phrasing with clever musicality resulting in soul-hugging vocal purity. Released around Valentine’s Day in February, The Journey has as much to do with the The Baylor’s 15 years of loving one another as it does with Black History Month. 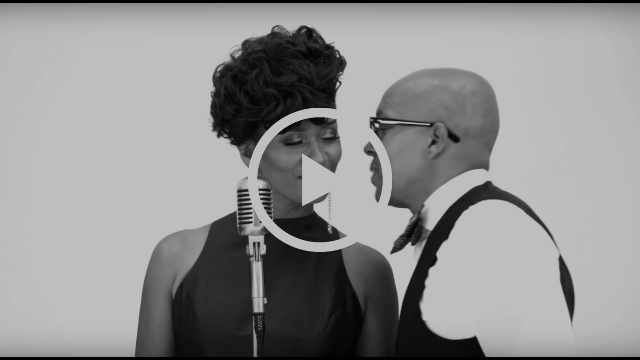 Their first feature recording together embodies the true spirit of love while also paying homage to their musical roots and those of the African American experience. It is apropo that it was their craft that brought them together back in 2000. It was then that Jean was set to perform at a showcase and found herself in need of a new drummer. On a fellow musician’s referral, Marcus and Jean were connected for the first time through music. As a close friend tells the story, Marcus fell in love with her that night on stage. 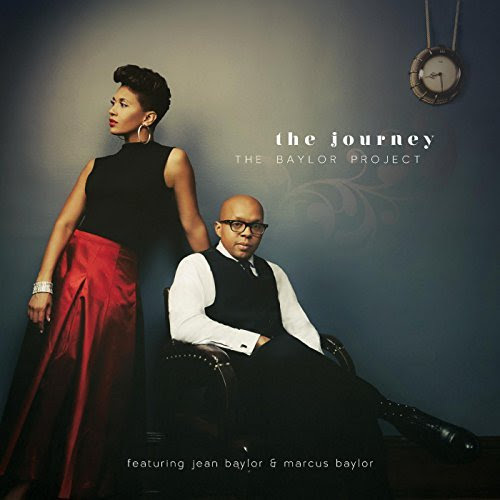 With The Journey, the Baylor Project showcases their outstanding versatility with a dynamic collection of original compositions, newly arranged standards and reimagined hymns. Upon pressing play, listeners are transported into the heart of the black experience: inside a little church in the mountains of West Virginia built by Jean’s ancestors, hands are clapping, feet are stomping on time tested hardwood floors, and voices testify to the power of prayer in song. “Block Party” is the joyful introduction to the Baylor Project rife with the church blues and jazz improvisation. “We want to inspire, foster hope and ultimately, bridge the gap between generations in our culture,” says Marcus. With The Journey, The Baylor project does just that. They are relatable, they are virtuosic, and for these reasons they captivate listeners and packed houses alike. “The Journey” pays homage to their wide-ranging musical influences, and in so doing; they generate an eclectic sound whose overall effect is spiritual, buoyant, and feel good music.